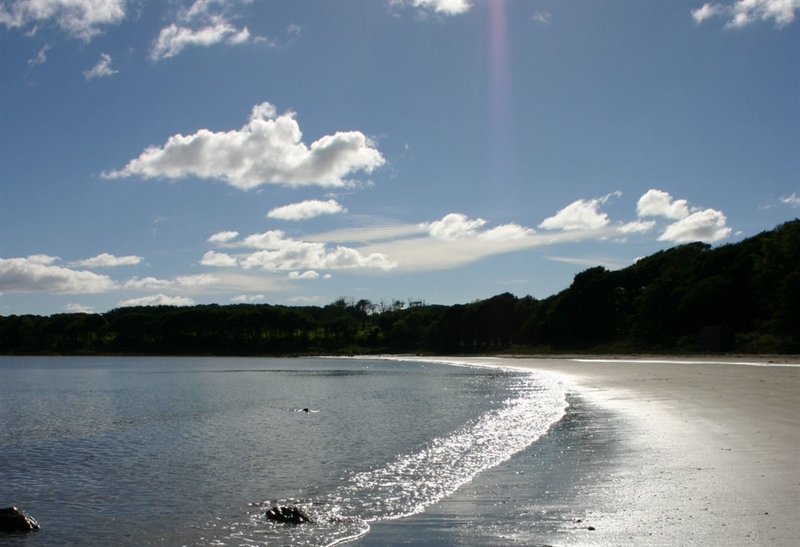 Shore Cottage is just 50 metres from the tree-lined sandy beach of Rigg Bay beside the village of Garlieston. With an enclosed garden at the end of the Galloway House Gardens walled garden, this is a peaceful location to get away from it all. 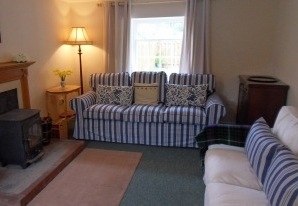 Shore Cottage is a one bedroom seaside cottage within 50 metres of the sandy beach of Rigg Bay. On the edge of the walled garden built for the Earls of Galloway, visitors can take their morning cup of tea down to the shore and watch the waders or sit at the picninc bench with an evening drink and look up at the fantastic stars or if you ar lucky the northern lights. A coastal path from your door takes you up through a pretty bluebell wood to the Cruggleton Castle ruin or through Galloway House Gardens to the harbour village of Garlieston with pub, tennis courts village shop and post office.